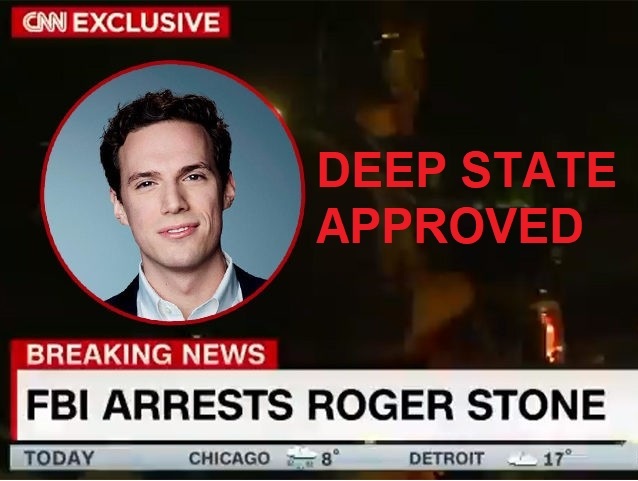 EXCLUSIVE: DOCUMENTS SHOW CNN WAS TIPPED OFF on Roger Stone Arrest by 29 FBI Armed Agents – Leaked by Deep State! It took 29 FBI agents to take into custody super spy, Roger Stone and CNN was their with camera's rolling to show the world that we are all safer now. We can all just relax now, the Fed's...and CNN got this. -W.E. 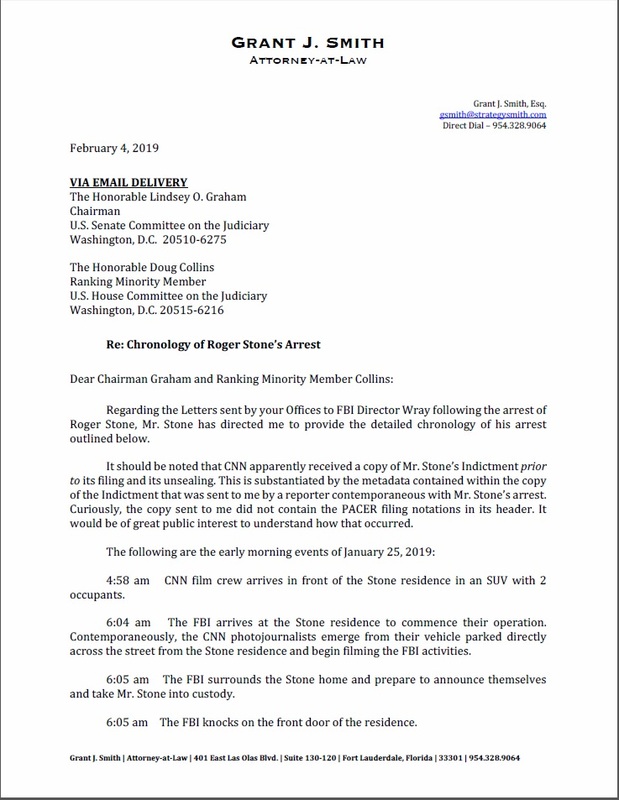 Just over a week after his televised arrest was carried exclusively by CNN, attorneys for the longtime Trump adviser Roger Stone have sent a letter to the House and Senate Judiciary Committees detailing how some reporters may have received an early draft copy of the indictment. 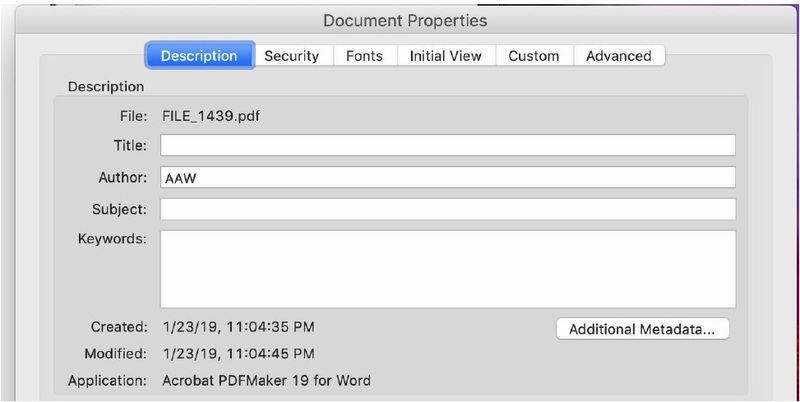 Documents obtained exclusively by The Gateway Pundit show a copy of the draft indictment without the PACER filing number or official stamps of the court, with metadata on the document identifying it as being authored by “AAW”, who is suspected to be lead Special Counsel prosecutor Andrew Weissmann. 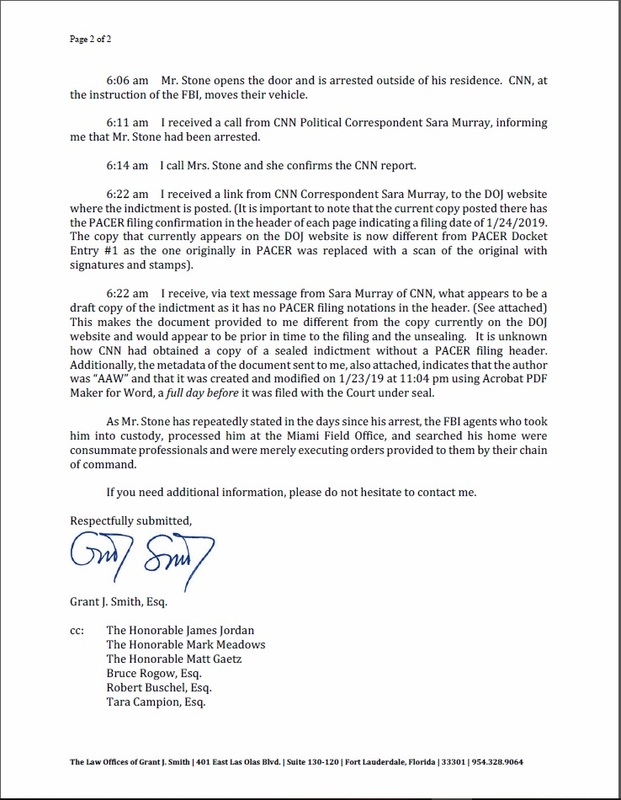 CNN’s camera crew allegedly arrived at Stone’s residence a whole hour before the raid and CNN’s Sara Murray provided Stone’s attorney with a draft copy of the indictment in an early morning communique to confirm the FBI raid and arrest. CNN was the only camera crew on the scene of the FBI raid on Roger Stone’s home. 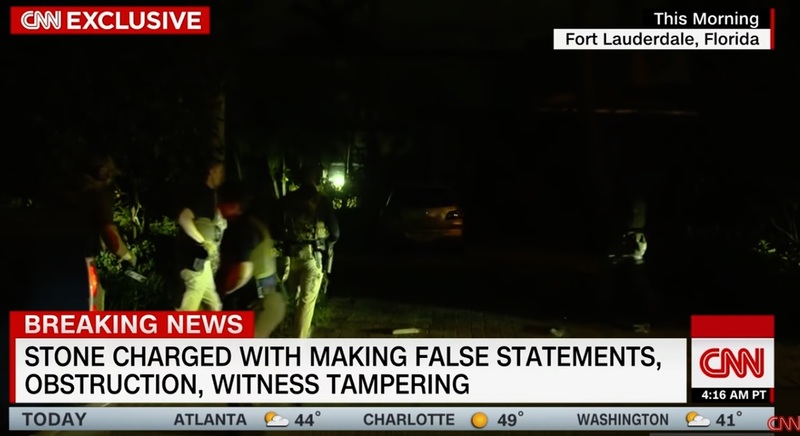 While CNN has spent an entire week claiming their presence at the FBI raid on Stone’s South Florida home was a combination of luck and hard work, this evidence proves that their “source” was indeed the Office of the Special Counsel, who colluded with the notoriously anti-Trump news network to produce a propaganda broadcast of the arrest that is reminiscent of the Nazi era tactics of the Gestapo and propaganda ministry lead by Joseph Goebbels. Stone’s attorneys are asking both the House and Senate Judiciary Committees to investigate these leaks and provide answers to the American people on how someone could have obtained sealed grand jury indictments. Here is a copy of the letter by Grant J. Smith. 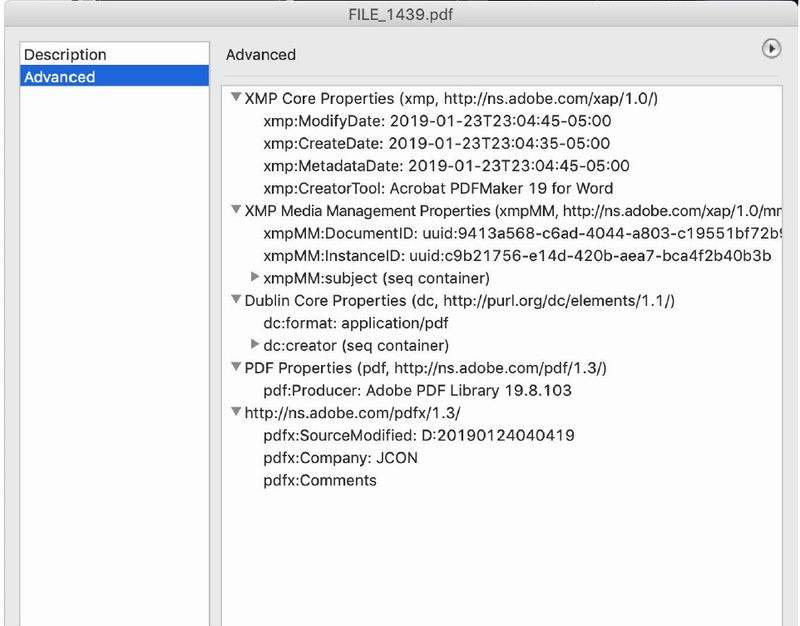 Here is a copy of the Metadata that shows the copy CNN obtained came from the FBI and not the courts. The DC judge in Mr. Stone’s case has claimed that the New York Times bestselling author and political commentator’s vigorous public defense against the sham charges being leveled against him could “taint the jury”, though she has failed to address CNN’s role in Stone’s arrest, or the illegal nature of CNN obtaining a sealed draft indictment. ** Roger Stone spent the past few days in DC for two court appearances and a media blitz to defend his honor. 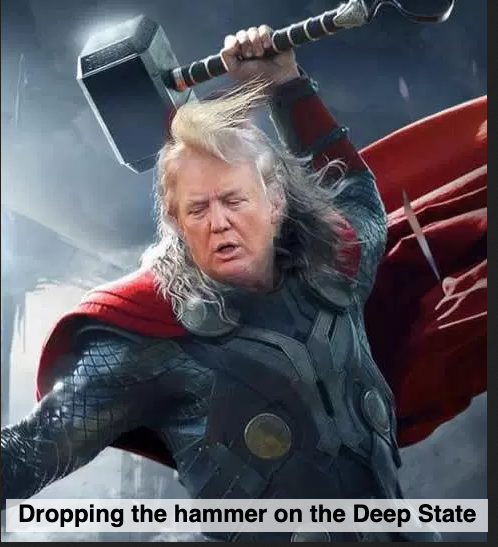 To help Roger fight back against this rogue prosecutor, patriots can visit StoneDefenseFund.com.